By configuring those settings, you’ll be able to receive latest Windows Insider Preview builds on your Windows 10 system. But in case if you’re not able to configure the Windows Insider Preview build receiving settings, this article is for you. Recently, we followed the above mentioned guide but couldn’t go ahead because Get started button there was greyed out (refer below shown screenshot). 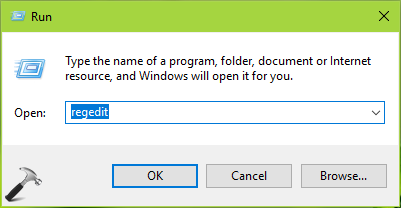 As this button is greyed out, we can’t configure Windows 10 to receive latest Preview builds. If you’re facing similar issue, here is how you can solve it. 3. Now in right pane of Diagnostics & feedback, set the Diagnostic data to Full option. 4. Close Settings app and reboot your machine. After restarting system, you must be able to configure Windows Insider settings. 3. Now in the right pane of DataCollection registry key, right click and select New > DWORD Value. Name the newly created registry DWORD (REG_DWORD) to AllowTelemetry. If the registry DWORD already exists, skip creating new and double click on it to modify its Value data. 4. Finally, set the Value data to 3. Click OK. Close Registry Editor and reboot. After restarting your system, you’ll find that the ‘Get started‘ button is functional now. Related: There’s A Problem With Getting Preview Builds In Windows 10.